Hair Buns are FUN! Three tutorials to easy hair buns. They are very long, reaching the middle of my back and as straight as they get. Don't get me wrong, I love my hair and I love the fact that they are long! Problem is they don't seem to love me back! They just don't cooperate. I hate hair products and only go as far as a contidioner and some conditioner water would go to untangle them. I never use sprays or foam or gel, I just hate what those sticky things do to my hair. So, what's a girl to do when she is having a bad hair day? Do an up do (do dorum dorum do do)! I love up do's and I love hair buns! It is yet another chance to wear a bow and did ya know? I love bows, lol! 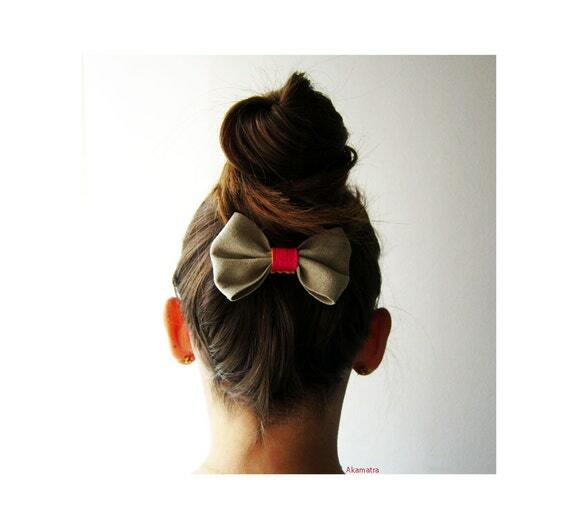 So I searched the internet and found loads of easy tuts to make hair buns. I started with an easy one I found directions for here. It's ok but not very firm. It felt like it would come undone if I were say, walk fast. Then I tried out the one I found here and below is the result. fabric and leather hair bowThis one is better than the first one but still not as firm as I would like it to be. Probably it's because I didn't use any hair spray. And then... I found this video tut over here. I think the trick Christina (second lady) does with the elastic is the thing that made this bun more stable than the others. It resulted to the hair bun below which is by far my favorite and more secure of all three I tried! I love it! Do you have any tricks or tips for long straight hair? I would love to read about them in the comments form!